In this, the 100th edition of The Bleacher Briefings podcast, we recap conference championship weekend in college football, Week 14 in the NFL, and Kobe Bryant's first game back following last season's Achilles injury! - Pasadena, Here We Come: The scenarios were pretty cut and dry entering Saturday's conference showdowns in college football. For Florida State and Ohio State, win, and play for a national title; while Auburn, Alabama and Mizzou all needed help in some form or fashion if they were to have any hopes of playing January 6th. In the end, it was the Noles and (Auburn) Tigers punching their ticket to the biggest game of the season; The BCS National Championship. We look back at the pivotal conference championship games, and take an early look at Florida State-Auburn. - NFL, Week 14: If ever there were a wilder Sunday in the NFL, you'd be hard-pressed to find it, with the Lions and Eagles playing in a blizzard in Philly, the Vikings and Ravens exchanging points at a video game-type pace in the final two minutes of their contest, the Steelers nearly lateraling themselves to a miracle victory over the Dolphins, and the Browns figuring out a way to cough up a 12-point lead to Tom Brady and company in the last minute of their affair in Foxborough. We discuss these games and many more in our Week 14 review. 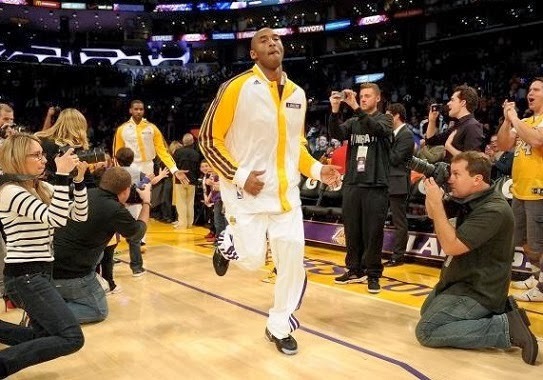 - The Black Mamba Returns: On Sunday, Kobe Bryant took to the hardwood for the first time since tearing his Achilles back in April. We break down his overall performance and debate how long it will be before we're back to seeing the dominant player we've all grown accustom to watching over the last 17 years. Now that MLB's free agency period has shifted into high gear, we discuss some of the more surprising signings from around the league!